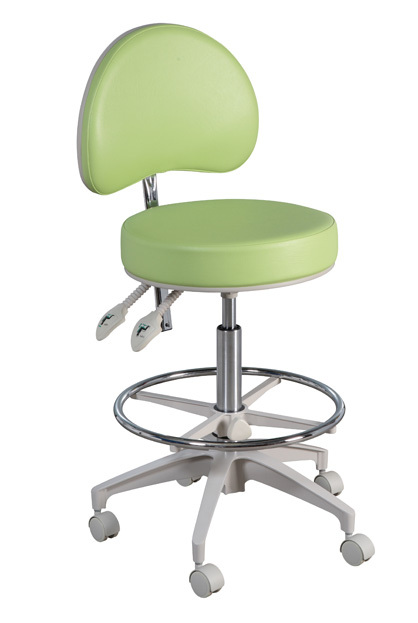 The HADV-GN is a round stool with a fully adjustable back rest without seat pad tilt facility, with high cylinder and adjustable foot ring. Ideal for Labs, Maternity, Eye Clinics, Recovery, ICU and Dental Nurses. Lumbar support back, foot height control (optional extra), hand controls, tilt facility.